So often we are told to hide the things that make us different — to live in the shameful shadow of our weaknesses. But what if our unique qualities are what not only make us stronger, but superhuman? 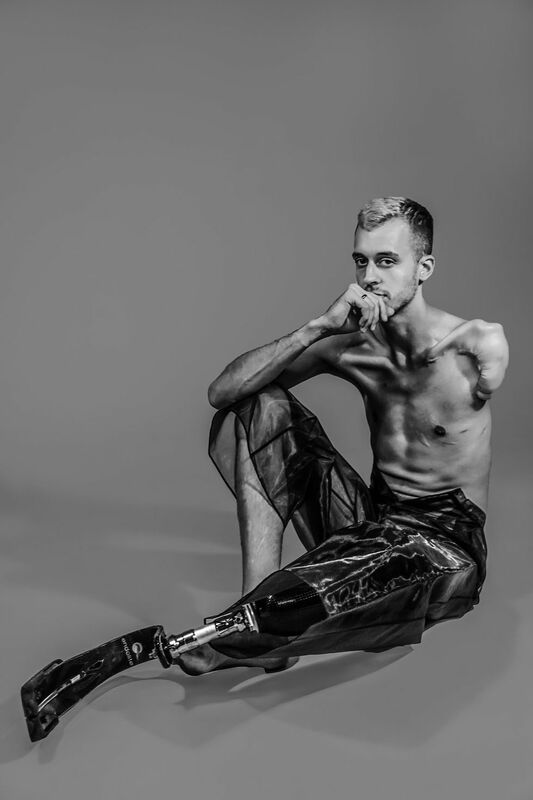 We spoke with three differently-limbed people about what being superhuman means to them. "The idea of superhuman to me means an average person doing more than what they signed up to do in this life. It means someone who deals with stares from strangers and inappropriate questions from people on a daily basis, but still manages to wear a smile and go through the day like nothing happened. It means a person who can adapt to a world that wasn't made for them but make the world work for them. The idea of a superhuman to me is not about a super power. It's about doing all the things that people thought you could never do." "Superhuman to me is an interesting concept, since we have no definite definition of human. Even if we gather genetic information of ten, a thousand, a billion humans, we could still not pick a particular genetic code that would build a 'standard' human. Because of reproduction and natural selection, we are constantly changing what is human with every birth – not only by our genetic code but even by changes societal norms over time, how we behave. Some people are athletic, others have talent by their creative disciplines, are they superhuman? They just are a human with unique differences. I think what is wonderful is that we are not all copies of each other but ever person is unique and has the potential to bring something wonderful to the world with their differences. I think you are superhuman if you are a human who follows what inspires and interests you. "I was born in 1995 along with my twin sister and I was born with a congenital limb difference, where my right arm stops just below my elbow. I struggled a lot with bullies and kids who didn't want to risk being seen with me because I was different. They would run away from me on the playground or call me a freak. I had a lot of issues with my body and I did my very best to try and hide my arm from the world. When I started high school, I broke out of my shell more and began to accept myself the way I should have accepted myself my whole life. I decided that if someone was going to judge me or not be my friend for having one arm, then I don't want those people in my life anyway. I don't need them. But I hope with the exposure that the limb different community is getting through non profit organizations and social media that no kid will have to feel as alone as I did growing up. 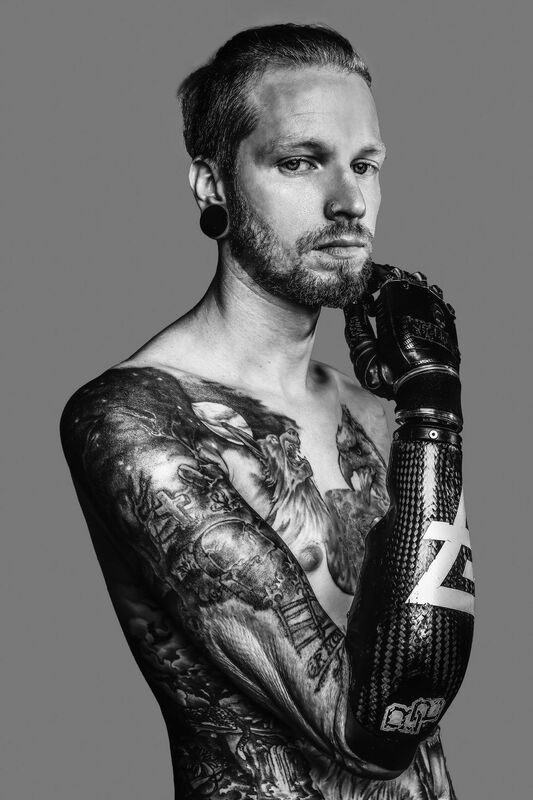 "It's interesting that when you use bionic technology you open yourself up to discussion, because it's still uncommon. People will come up to you in public and touch your bionic parts without permission because they don't see it as part of your body. People will judge you if and how you wear it, and if you use it well. You can face excitement and disappointment in strangers in each day. Days you don't wear it, people will assume that something is wrong with you, because they assume you'd prefer to conform to their 4-limbed body shape all the time, when maybe you just want to relax or you can do things better without it.